One of the most popular seaside resorts in Turkey, Bodrum Town sees many sun-seeking travellers grace its shores every summer. Bodrum (ancient Halicarnassus) is a well-oiled machine with an elegance and vibrancy about it like no other. There is a beautiful castle lording over the rest of the town whilst the marina glistens with many a sparkling yacht. The Aegean character of the town has been carefully preserved and laws restrict building heights ensuring the white-washed houses are unspoiled and the ancient ruins dotted around the town are still absolute gems. Ready to go? Check out our favourite luxury hotels in the seaside getaway. 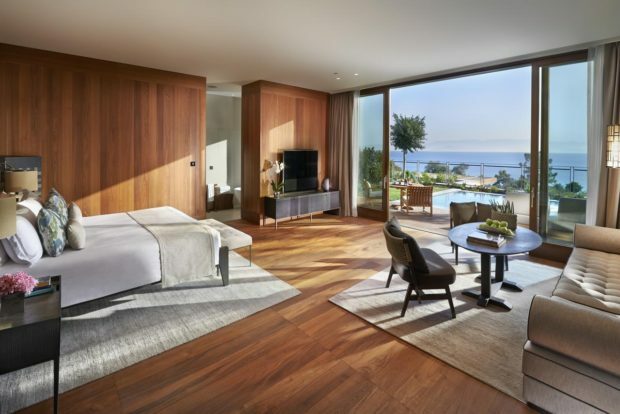 Set in a stunning location overlooking the emerald blue Aegean Sea, the Mandarin Oriental offers extreme comfort and class over 59 guest rooms, 29 suites and 36 apartments, each designed with an impeccable eye for contemporary Turkish and Oriental fusion styled furnishings. With 2 private beaches, a sumptuous spa and a wide-ranging variety of cuisines to choose from, you’re guaranteed to feel relaxed and inspired in this opulent beachfront resort. The Mandarin Oriental lives up to its name in this palatial five-star resort, where guests can indulge in lavish services and facilities which include everything from yoga to designer shopping. Perched on a hill just 3km from the gorgeous Yalikavak Marina, The Bodrum EDITION offers enthralling coastal views of the turquoise coast with its terraces, promenades and seaside pools and spa. Sleek, sharp and stylish, this hotel offers luxuriant food, both casual and refined, as well as two sensational bars for a romantic Mediterranean inspired evening. With spacious rooms, suites and bungalows on offer, you can expect polished stone floors, marble baths and bright, light decor for ultimate relaxation. The service is kingly at this majestic five-star resort. 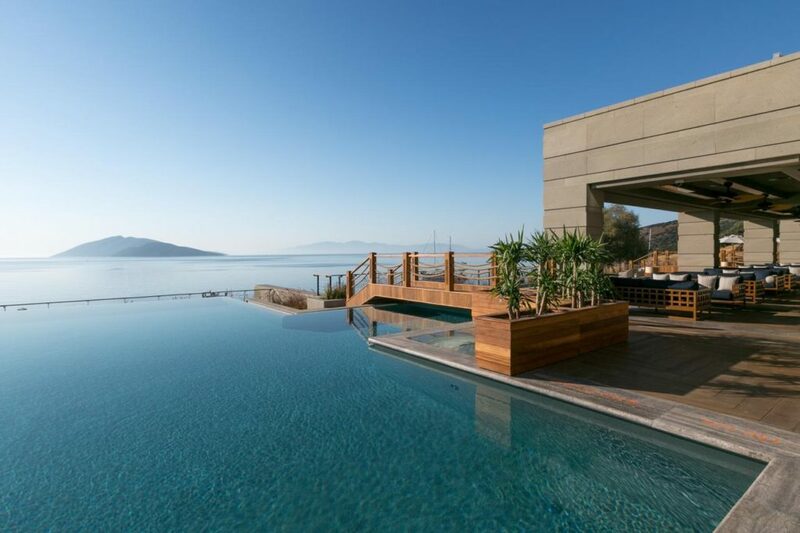 This luxury resort is set on a spectacular section of Bodrum’s coastline, with stunning beaches, seaside pools and terraces. 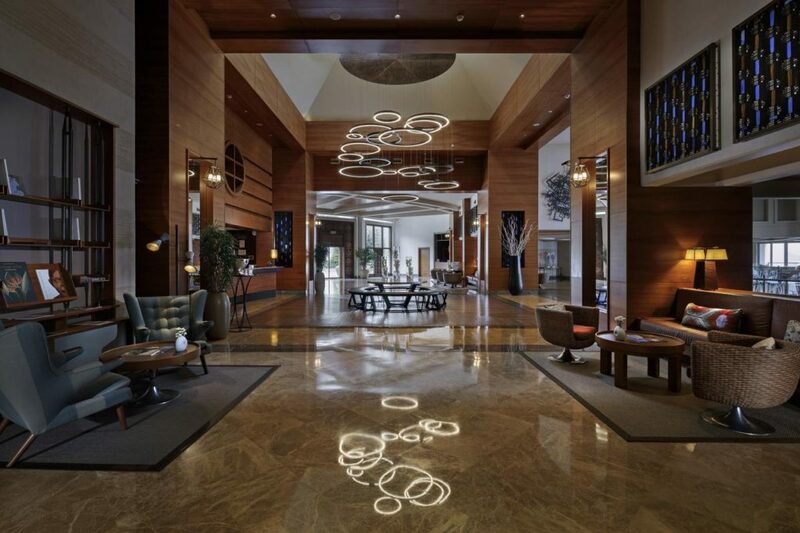 Its 75 airy rooms and 9 suites are decorated with modern furnishings complimented by a Turkish twist, enticing such esteemed visitors as the Saudi royal family. Its 4 restaurants feature everything from both contemporary and traditional Aegean cuisine to sushi, making best use of locally caught fish and rarer global options. The hotel’s own boats are available to hire for coastal excursions, including a luxury yacht features in James Bond’s Casino Royale. Take advantage of the dazzling and well-stocked seafront bar on the evening, watching the lights bounce off the sea water. LUX Resort’s Bodrum location is a refined coastal retreat, remotely set on a peaceful peninsula with panoramic views across the Aegean Sea. This contemporary steel and glass built hotel — decorated with modern and chic furnishings — staggers over a hillside setting of palatial palm trees and olive gardens, leaving guests with breathtaking seafront vistas over sandy beaches amid an intimate environment. Complete with impeccable services and facilities, the 91 rooms each feature a sea view with contemporary amenities. The hotel’s 3 restaurants offer a fine variety of international cuisines, and the bars are ideally placed with access to the sea for romantic coastal drinks. This is an outstanding resort for those seeking a fine mixture or relaxation and splendour. 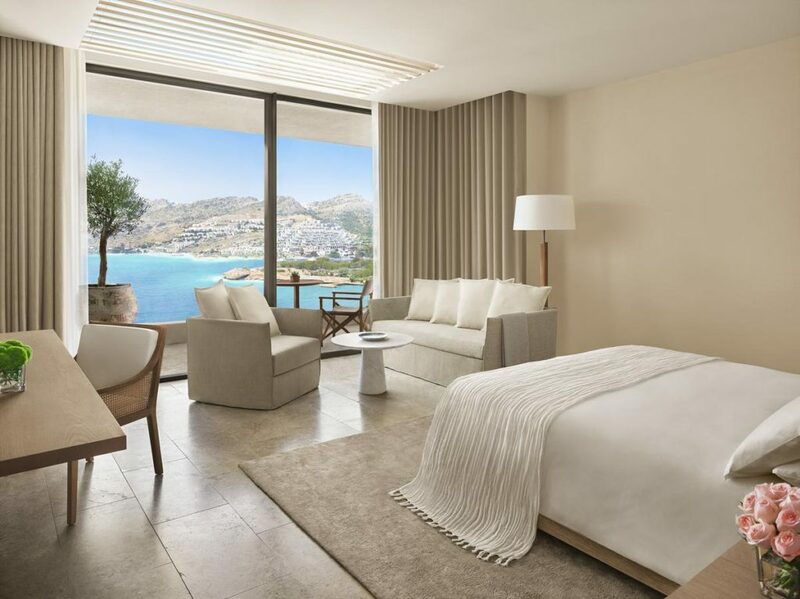 Hidden upon a cliff-top which overlooks the spectacular Barbaros Bay and its unspoilt landscape, this Kempinski owned resort is ideal for those looking for seafront style and natural grandeur. Classically decorated with high ceilings, traditional Turkish architecture, drapes and opulent furnishings, guests have access to private beaches lusciously kitted out with wicker beds and shielded, green vegetation. The service is friendly and the facilities top notch, with a choice of 3 restaurants on-site: Italian, Aegean and Vietnamese. A Turkish themed beach bar offers poolside lunches and evening drinks on a spectacular seafront patio. 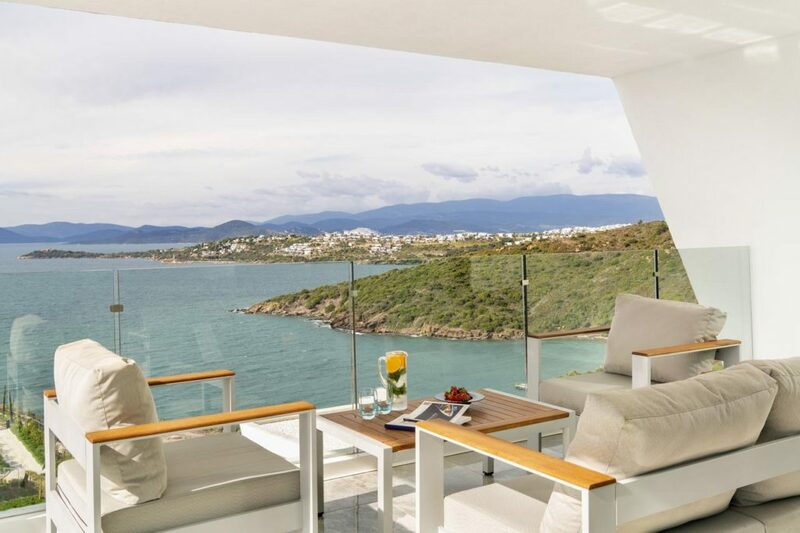 A boutiquey hotel within a secluded and serene setting, the Divan Bodrum offers exquisite access to the Aegean Sea with its sandy beaches and seaborne excursions. Described as one of the most excellent choices on the Mediterranean by the famed publisher Condé Nast, guests can expect both luxury and relaxation in this traditional stone-built resort. The hotel features 60 rooms from standard guest rooms to deluxe suites, with a simple, traditional style consisting of colourful furnishings, large windows and airy, spacious rooms. Its restaurant specialises in local Aegean and Mediterranean cuisine, with stunning seafood, meats and vegetable which draw on the region’s multicultural culinary landscape. We recommend sipping on an inspired cocktail in the waterfront bar, relaxing in one of the hammocks as the sun sets over the Aegean Sea. Styled as a fashionable lifestyle hotel, this coastal gem exudes natural pomp with its sheltered beach setting and rugged rock terrain. Consisting of 76 rooms kitted out with timbered balconies, stone patios and private terraces, each unit blends seamlessly with the natural surroundings, producing a truly intimate guest experience. 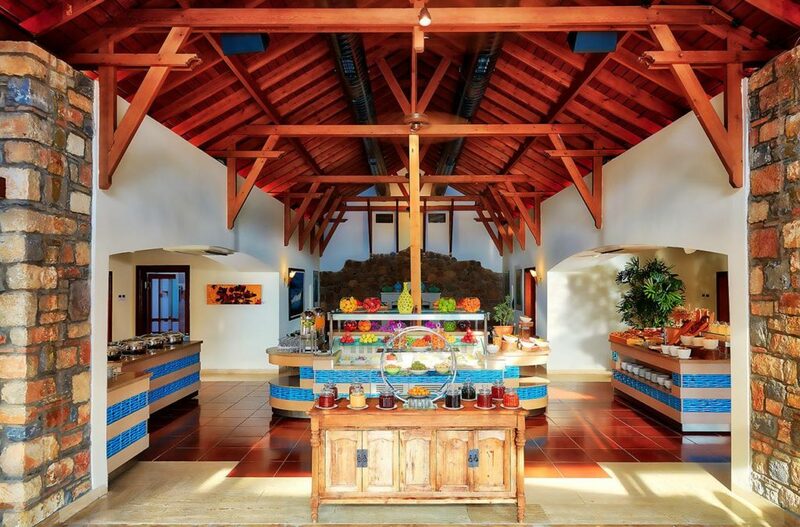 With a restaurant, café and lounge each brushing next to the glorious coastal waters, the focus is on healthy, free-range cuisine and freshly caught seafood, be it through sumptuous sushi or inspired Aegean tradition. Services and facilities include live music and evening entertainment, yoga parties and relaxing spa treatments, and a multitude of seaborne activities including water sports and fishing.